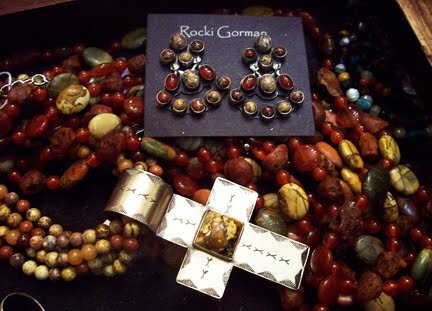 Love love this extra long River Rock Jasper and amber mixed together. Just gorgeous and so unusual! This Jasper silver stamped cross is just beautiful! And would be perfect for someone's stocking!